Introduced in our Cruise 2019 presentation, this slim, high-heeled boot pairs perfectly with the season’s full skirts and chunky knits. 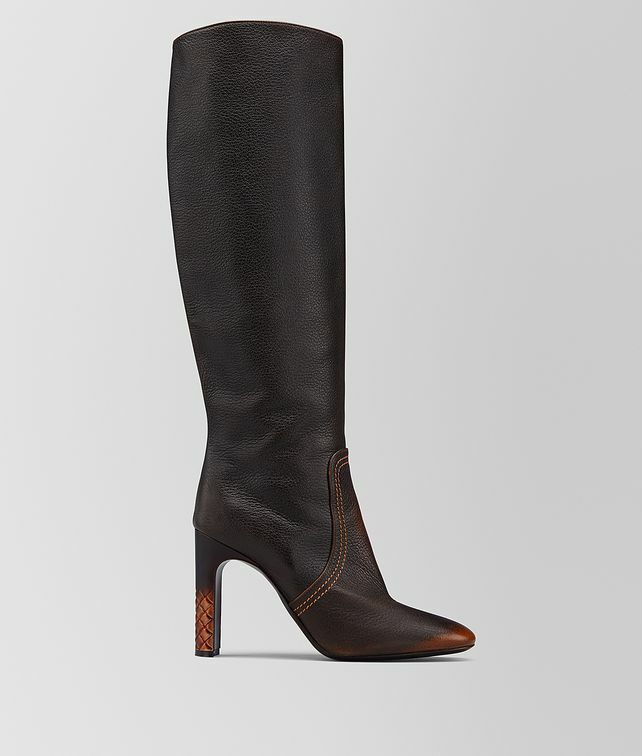 The knee-high style is crafted from calf leather that is carefully finished to give it a unique two-tone aesthetic at the toe and the intrecciato-engraved heel. It is finished with contrast stitching.